One of most interesting dimensions of current developments in the housing market is the way in which global economic events are being refracted through housing policy: how a problem created in the private sector is being used to reconfigure the social rented sector and advance some long-standing objectives for the political right. In this respect it is a microcosm of the broader austerity agenda. I have a paper forthcoming in the journal Housing, Theory and Society that has just become available on iFirst. It’s called The global economic crisis and the reshaping of housing opportunities. The paper is coauthored with my colleagues Patricia Kennett and Ray Forrest. We’ve worked together for 16 years and, after discussing a lot of possibilities, this is the first paper we’ve managed to coauthor. 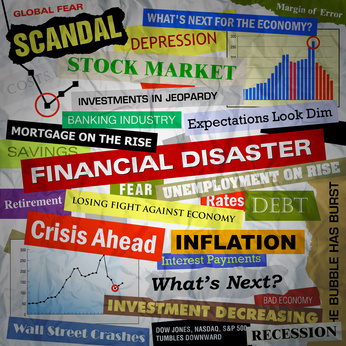 It’s in a special issue on the housing fallout from the global financial crisis. This paper begins by establishing the multi-scalar interconnectivity between global financial flows, the economic crisis and housing. Focusing particularly on developments in England, it then considers the transformation of debates and the justification for the “socialization of losses” and the substantial cuts in public expenditure through a neo-liberal “austerity” agenda. The paper argues that rather than addressing the fundamental tensions and contradictions within the current financialized model of capitalism, outlined in the first part of the paper, the responses of the UK Coalition Government and financial institutions have reinforced the recalibration of risk and responsibility. It then goes on to demonstrate the dynamics of, and contradictions within, the housing system in the context of wider policy and societal change. The paper highlights the emergence of strategies with the potential not only to reshape housing opportunities but also to further diminish access to, security and quality of appropriate housing across all tenures. If you have access to a subscription then you can read the full paper here (subscription required). "Poverty is a great enemy to human happiness; it certainly destroys liberty, and it makes some virtues impracticable, and others extremely difficult"
"The only function of economic forecasting is to make astrology look respectable"
"A person is not likely to be a good political economist who is nothing else"
"No section of the people has ever been excluded from political power without suffering legislative injustice"
"The fact that an opinion has been widely held is no evidence whatever that it is not utterly absurd"
"We have now sunk to a depth at which the restatement of the obvious is the first duty of intelligent men"
"All opinions are not equal. Some are a very great deal more robust, sophisticated and well supported in logic and argument than others"
When it comes to politics I'm an equal opportunities critic. Why is Owen Jones so annoying?